@JonathanLittle analyzes decisions made in a tournament hand involving a triple-barrel bluff. 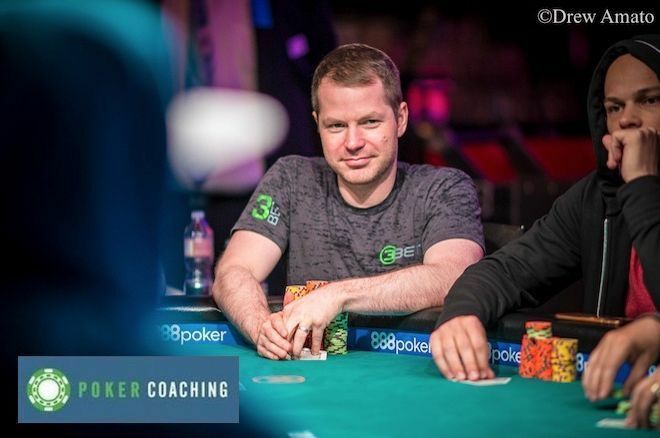 Poker Coaching with @JonathanLittle: See how you do on this interactive tournament hand quiz. It's a $1,000 buy-in event with blinds at 50/100, you raise to 300 out of your stack of 10,000 from second position with . The cutoff (an unknown player) and the big blind (a tight-aggressive young player) both call. The flop comes and the big blind checks. Bet 500 = 10 pts. Bet 750 = 4 pts. Bet 1,000 = 4 pts. 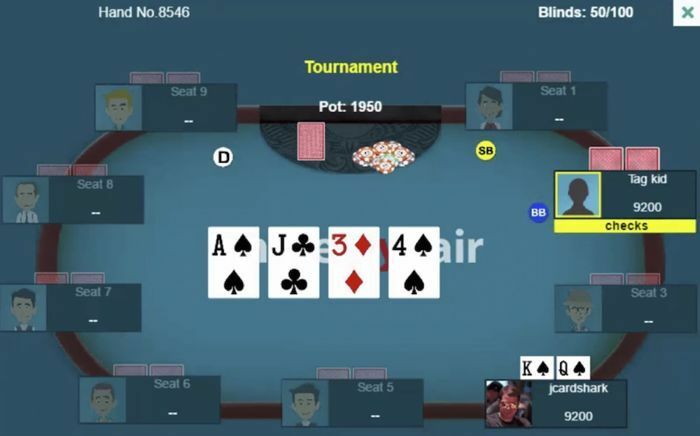 While your hand is certainly not great and the board should connect decently well with your opponents' ranges, since there are very few draws available, you should bet with all your hands that can conceivably fit in your drawing range. If you think about your early position raising range, is the only drawing hand that makes logical sense. Of course, if you get raised, you can easily fold. You bet 500 into the 950 pot. Only the big blind calls. The turn is the , making the board and giving you a flush draw. The big blind checks. Bet 1,000 = 5 pts. Bet 1,400 = 10 pts. Bet 1,800 = 7 pts. At this point, you should make a bet that you think will make your opponent think you have a strong range. If you bet smaller, perhaps 1,000, you have no way of knowing if your opponent is stubbornly sticking around with which he will fold to a normal river bet, or a better hand which he will not fold to a normal river bet. If you bet even larger on the turn, perhaps 2,000, you should almost certainly not make a normal-sized river bet because your opponent's turn calling range will be primarily strong hands. You bet 1,400 into the 1,950 pot and your opponent calls. The river brings the , making the completed board . Your opponent checks. Bet 1,300 = 2 pts. Bet 2,600 = 7 pts. Bet 3,900 = 10 pts. This is a difficult spot, but given the fact that your opponent's range is "capped" at top pair, this is a fine spot to bluff. I say he is capped because many tight-aggressive players don't make it to the river with many hands and they raise with sets and two pairs on either the flop or turn. So his best hand is likely . Also notice that you have both a king and queen in your hand, removing some and combinations from your opponent's range. If you make a small bet, he can easily hero call, but if you bet large, most players will make a snug fold. 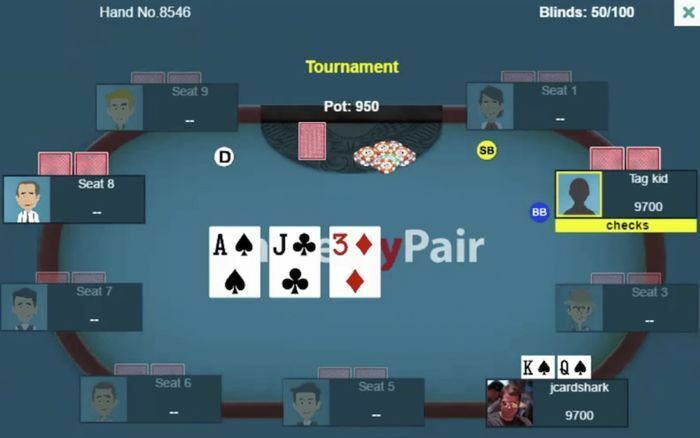 If you happen to know your opponent is a calling station, giving up is fine, but if you find yourself giving up in this spot most of the time, you are almost certainly not bluffing the river often enough. You bet 3,900 into the 4,750 pot and your opponent folds. 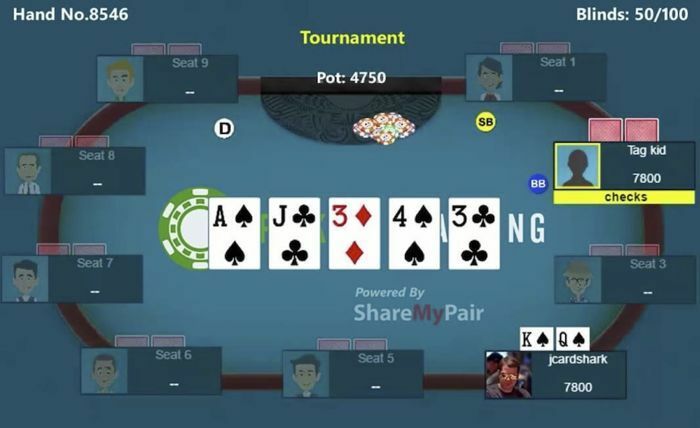 If you enjoyed this hand analysis, then I have a 7-Day Poker Challenge for you. If you accept (and actually take it seriously), your game will be significantly improved over the next 7 days. 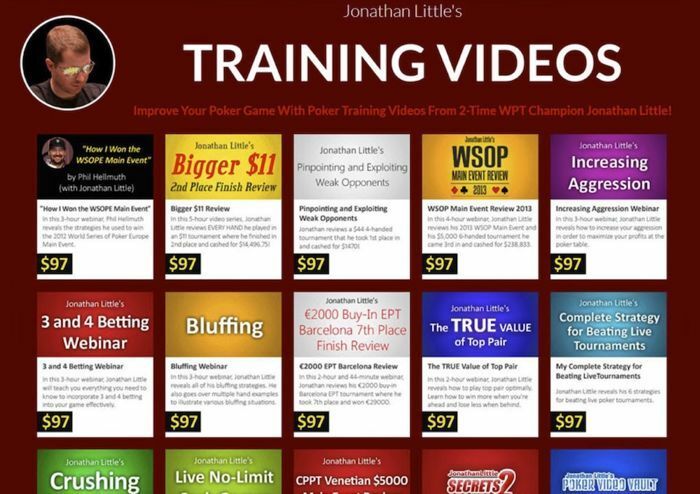 I challenge you to immerse yourself in my interactive training site, PokerCoaching.com, over the next 7 days. Take as many of the 338 interactive hand quizzes as you can over the next 7 days. Watch as many of the 30 recorded coaching webinars as you can over the next 7 days. So how much is it? It's FREE to try for 7 days! Start your FREE 7-Day Trial. I have two very special bonuses for you if you sign up by Sunday, September 30. Second, I'll give you $10 in Bonus Credits (up to $300 in Bonus Credits total) for every quiz you complete perfectly during your 7-day trial! TIP: If you mess up on any of the quizzes, you can retake them until you get a perfect score! 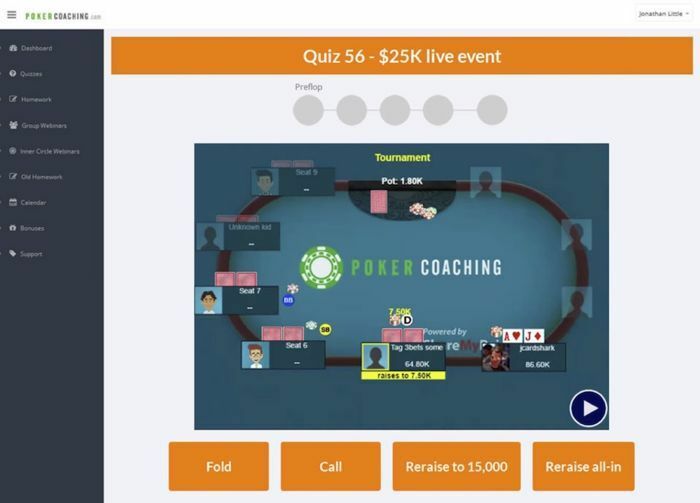 Sign up for your free 7-day trial to PokerCoaching.com NO LATER THAN Sunday, September 30. Go through as many quizzes as you can (up to 30 quizzes max) during your free 7-day trial. I WANT MY 7 DAY CHALLENGE CREDITS! My team will verify your answers (including checking timestamps of when you submitted your answers), and add your Bonus Credits to your account! All Bonus Credits earned during our 7-Day Challenge will be credited to your account by October 3, 2018. I think you'll love PokerCoaching so much that, once you try it, you'll want to stay in for a long time! And if you don't love it for any reason, just let my team know before your 7-day trial is up and you won't be billed.